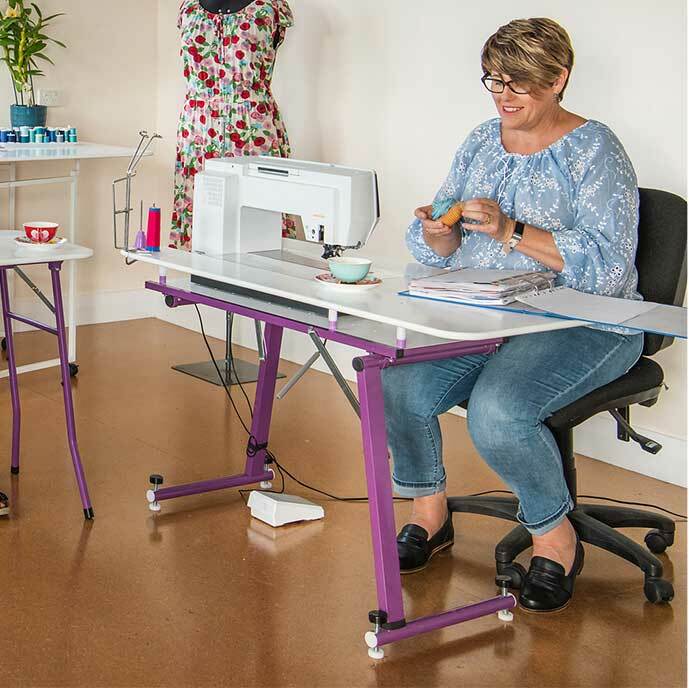 Sewezi portable tables provide a personalised workstation for you to complete your craft and sewing projects anywhere you want. Our original portable sewing table. Ideal for at sewing home or taking to classes and retreats. This table is built to last and packs away into its own carry case and has wheels for easy transport. The bigger of the two sewing tables. 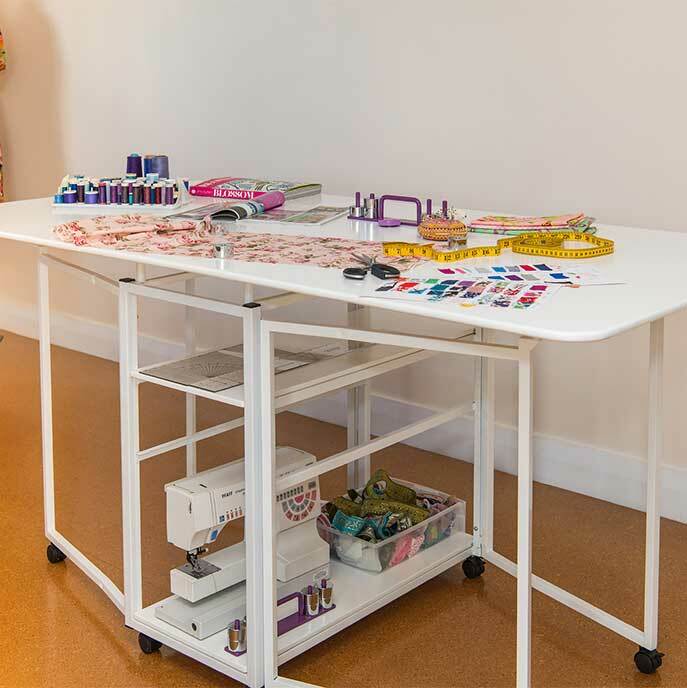 Designed with a large work top and strong leg system making it the perfect Sewing Room workstation. 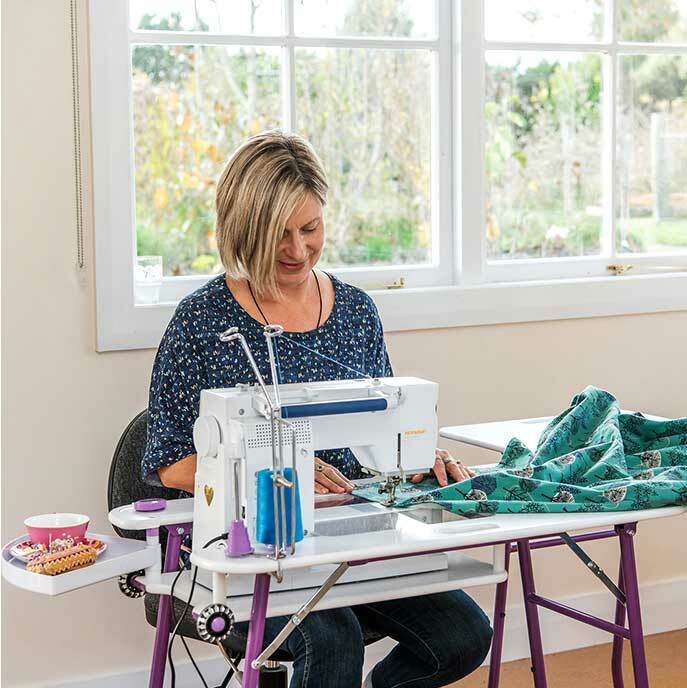 The Grande is suitable for both large and small sewing machines. The SewEzi Cutting Table has variable heights allowing you to have it set at the perfect height for you to cut & design comfortably. The side leaves of the table fold down to save space.